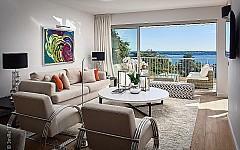 Do you intend to invest in high-end properties in Cannes? 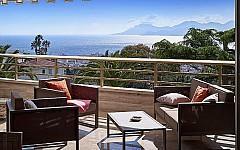 Consult PALM REAL ESTATE’s offers and make the wise choice of purchasing a luxury apartment in Cannes Californie. Our rich portfolio of properties for sale and to rent on the French Riviera and Cannes in particular will allow you to choose the apartment in Cannes Californie that fits your needs and budget. Cannes Californie is undoubtedly one of the most discreet areas of Cannes. The properties are situated in private and guarded buildings, benefitting from maximum discretion and privacy for a quiet and peaceful life. Located in the heights of Cannes, the apartments for sale or rent in Cannes Californie give offer breathtaking views of the city and the sea. You can just choose from our selection of prestigious properties in Cannes Californie an apartment with a beautiful panoramic view of the sea, situated in a luxury residence with guard, swimming pool and tennis court. Or you may opt for a penthouse in one of the finest residences in Cannes, with a fully equipped kitchen, two bedrooms with bathroom, basement, garage and stunning sea views, at just 10 minutes from the center of Cannes. PALM REAL ESTATE also recommends you an apartment in Cannes Californie which has been recently renovated, with a large living room, 3 bedrooms and a huge corner terrace of 540m², at walking distance to the beach and La Croisette. 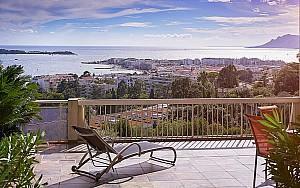 Contact us if you are looking for an apartment for sale or rent in Cannes Californie or elsewhere on the French Riviera. We are here to help you find the home in the south of France you've always dreamed of.